Calling all word search wizards! Here are over 300 astounding new puzzles that will have you hunting for hours. 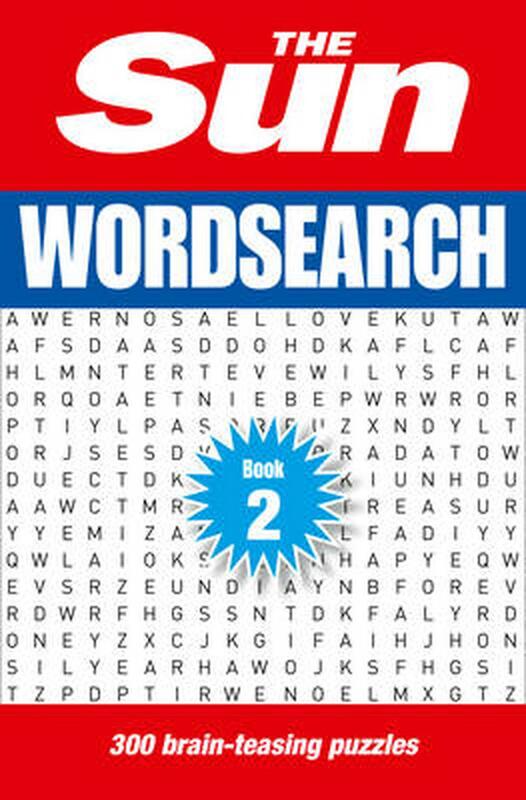 Inside you'll find a wonderful world of 300 thematic word searches to explore, with some real brain teasers along the way. Whether you're playing at home with a cup of tea, on the train, or lounging by a sunny pool: these are the puzzles for you! So sit back, relax, and prepare for a non-stop word search extravaganza! Solutions appear in the back. The Sun is a daily tabloid newspaper published in the United Kingdom and Ireland with an average daily readership of approximately 7 million.